Keepers at the park had to use fire extinguishers to rescue the lion, who survived the attack. 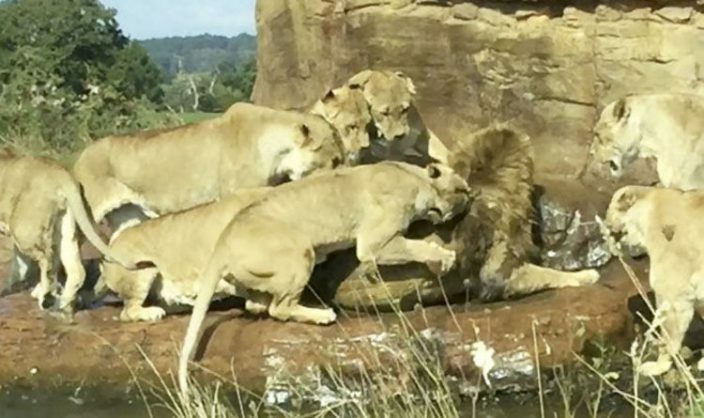 In an incident that left visitors to a safari park in the UK shocked and baffled, nine lionesses mounted a sustained attack on a male lion. Keepers at the West Midlands Safari Park had to use fire extinguishers to stop the attack. The lion was left bloodied but alive. No specific explanation for the attack has been given, although in the wild lions are often killed if they are seen as no longer fit to lead the pride.